This particular car is the 25th anniversary edition Mustang GT to celebrate 25 years of the Mustang. The anniversary model was only made between 27 March 1989 to the end of year 1990 which makes this a very rare car. It has White leather interior and red carpets which are in good condition for its age. It comes with a stereo but who needs one with that beautiful V8 sound track. 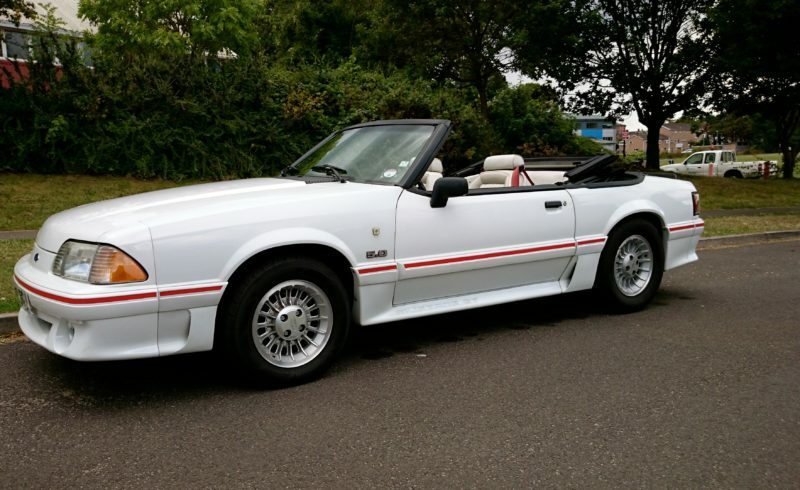 The 4 tyres are like new and the convertible hood is in good condition too.